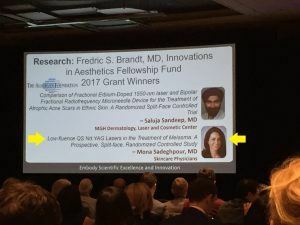 SkinCare Physicians is thrilled to share the news that it is the second year in a row one of its fellows, Dr. Mona Sadeghpour, received the American Society for Dermatologic Surgery (ASDS) Fredric S. Brandt Research Grant. Dr. Sadeghpour will use the clinical research grant to study the effect of low-fluence QS Nd:YAG lasers in the treatment of Melasma. “My interest in treatment of melasma stems from my interest in women’s health, since melasma is most commonly found in women, and often (but not always) starts around the time of pregnancy,” explains Dr. Sadeghpour. 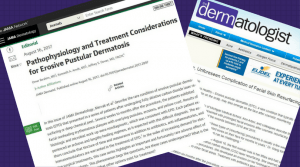 The cause of melasma is complex and not yet fully understood. Interplay between hormones and environmental factors including ultraviolet exposure from the sun and visible light in the setting of genetic predisposition leads to hyperactivity of melanocytes (our pigment-producing cells). This leads to formation of brown discoloration most commonly on the face. Patients with darker skin types may be at a higher risk for development of melasma, but it can be found in patients with all skin types, and affect both men and women. Melasma can be disfiguring and cause severe psychosocial distress. Unfortunately, it remains a very difficult disease to treat and generally requires a multi-modality treatment approach. 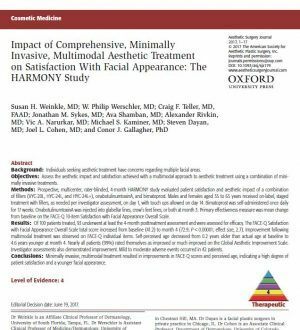 Dr. Sadeghpour’s research focuses on investigating the ideal combination approach of a low-fluence Nd:YAG laser, mechanical exfoliation, and topical hydroquinone (lightening agent) to treat melasma in a safe and efficacious manner. 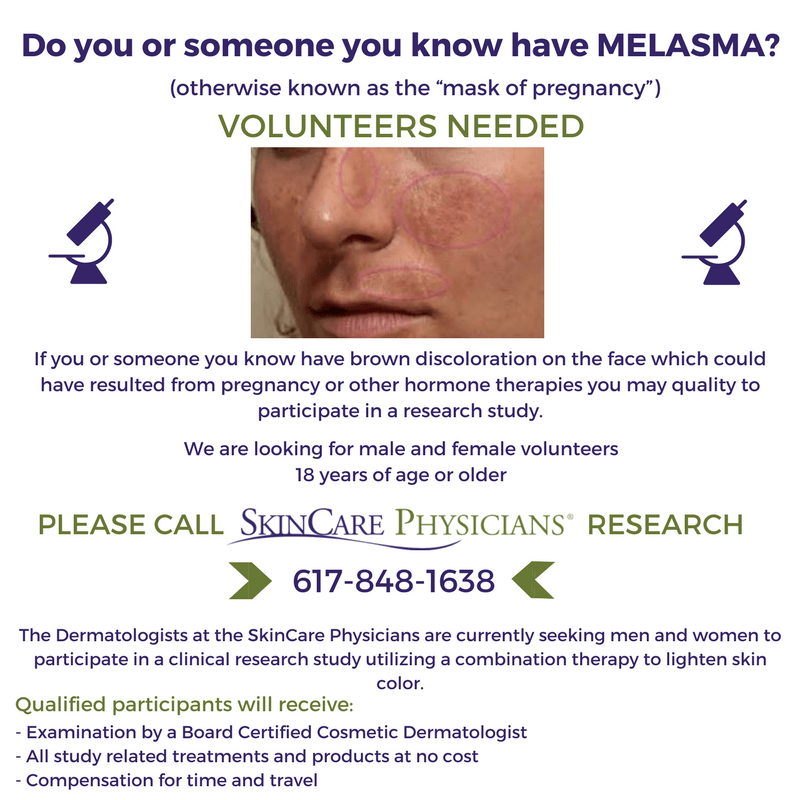 Dr. Sadeghpour is hoping to enroll 20 subjects (both men and women) with melasma. The study consists of three treatment visits spaced one month apart, and two follow up visits 3 and 6 months post treatment. The project will be conducted at SkinCare Physicians Research Department, under the guidance of Dr. Dover and Dr. Arndt. For more information on the study, click here. 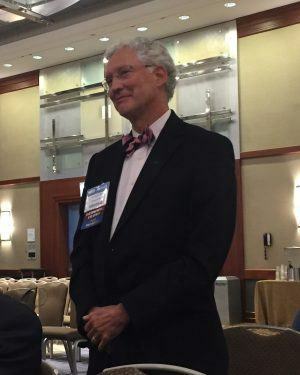 The ASDS Innovations in Aesthetics Fellowship Fund was set up in 2015 to continue the legacy of Dr. Fredric S. Brandt, a longtime ASDS member and contributor, by promoting and supporting the career development of junior cosmetic dermatologic surgeons focused on cosmetic treatments and patient care. 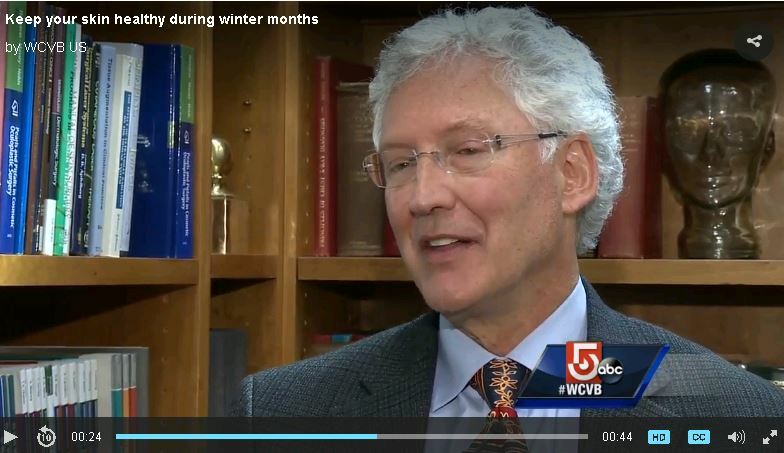 SkinCare Physicians’ Dr. Jeffrey Dover shared with WCVB Channel 5 Boston a few simple tips to protect our skin ahead of the winter and to keep it healthy during winter months. SkinCare Physicians’ Dr. Robin Travers received the Suzanne Donahue Keeper of the Hope award last weekend at the IMPACT Melanoma’s Shades of Hope gala. She was honored for her outstanding contributions to the world of melanoma awareness. Many members of the SkinCare Physicians team attended the event in support of Dr. Travers and IMPACT Melanoma. SkinCare Physicians’ Dr. Jeffrey Dover received one of the five 2017 ASDS President’s Awards at the American Society for Dermatologic Surgery (ASDS) Annual Meeting in Chicago. Dr. Thomas Rohrer, President of the ASDS, saluted Dr. Dover “as a visionary and educator for sharing his knowledge and experience with hundreds of ASDS members over the years.” Dr. Rohrer expressed his gratitude to Dr. Dover who “has invested countless hours of his personal time to ASDS serving as faculty and committee member, Board member and President.” He concluded that “his vision to invest in our residents has paid tremendous dividends already and will continue to keep ASDS healthy and growing for the forseeable future.” Congratulations Dr. Dover! 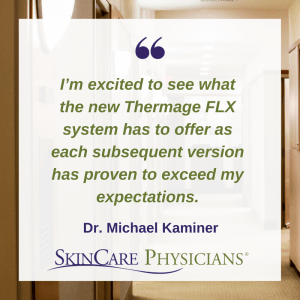 Thermage FLX™ received FDA clearance last week. The new skin tightening system is designed to reduce the treatment time and enhance patient comfort. 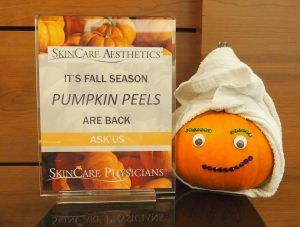 It’s pumpkin time at SkinCare Aesthetics. Carve out 30 minutes for a pampering pumpkin peel treat! Pumpkin is chock full of antioxidants, essential vitamins and high concentrations of beta carotene. This powerful combination is incredibly helpful in maintaining optimal skin health. Performed by our skilled aestheticians, it is a safe, gentle and effective peel that suits almost all skin types. Main benefits include: correcting hyper-pigmentation, improving the production of collagen and elastin, clearing debris collected on the skin, correcting sun damage, and maintaining skin’s moisture. Call 617.848.1640 today to treat yourself to an appointment! Learn more about our aesthetics offering. It’s this time of the year when we welcome three new Fellows to SkinCare Physicians’ Teaching and Training program. Drs. 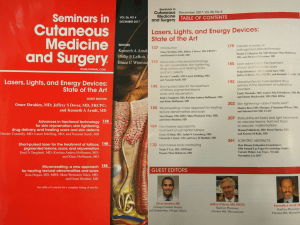 Lauren Bonati, Nicola Quatrano and Mona Sadeghpour will be with us for a year, during which they will be exposed to all aspects of cosmetic and dermatologic surgery, as well as laser medicine. 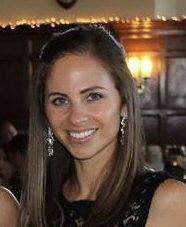 Dr. Lauren Bonati grew up in the Philadelphia region alongside one older brother. She graduated from the University of Pennsylvania with a B.A. in Music Theory and Composition and received her M.D. from the University of Miami in Florida. 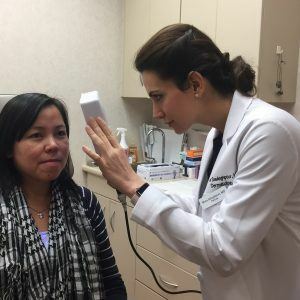 She completed dermatology residency at Mount Sinai Icahn School of Medicine in New York City and served as chief resident during her final year. With her husband and 2-year-old daughter at home, Lauren loves to play the piano, sing, and attend concerts and musical theatre whenever possible. She enjoys skiing, snowboarding, playing tennis, and reading historical fiction. Lauren is thrilled to join the team at SkinCare Physicians and looks forward to a fun and memorable year! 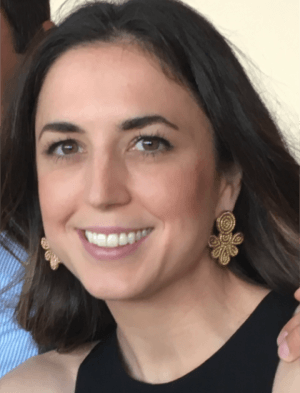 Dr. Nicola Quatrano born in Springfield, MA and grew up in northern Connecticut. She graduated from Boston College with a B.S. in Biochemistry and a minor in Studio Art prior to heading north to attend medical school at Dartmouth. She completed her residency in Dermatology at NYU and served as chief resident during her final year. Nicki enjoys oil painting, drawing, water sports, and snowboarding. She is looking forward to joining SkinCare Physicians and returning to her old stomping ground in Chestnut Hill! 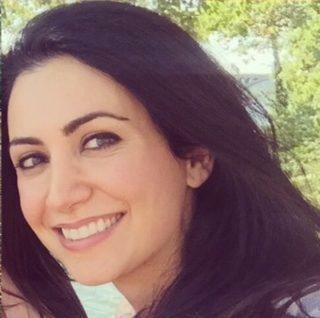 Dr. Mona Sadeghpour graduated with honors from University of Texas at Dallas and received her Doctorate of Medicine from Yale University School of Medicine. She completed her dermatology residency at University of Pittsburgh Medical Center, where she served as chief resident. Though she grew up in Texas, she has lived in 5 other states in the past 10 years, including Connecticut, Washington, Pennsylvania, Maryland, and now Massachusetts. When she is not at work, you can find her playing tennis, working out, dancing, hiking the great outdoors, or scavenging for the next best tea or coffee shop. She is grateful for the opportunity to join the SkinCare Physicians family and further her ability to deliver excellent patient care.